Every time I discover a wonderful budget beauty product I want to shout it from the rooftops. 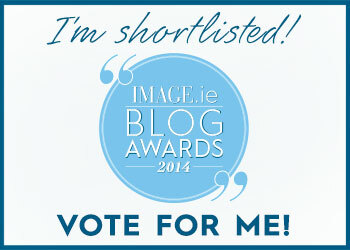 I feel like I’m on a mission, a money-saving mission – PUT IT DOWN, PUT THAT OVERPRICED LOTION DOWN! I’m Eddie Hobbs but Eddie’s lost his Cork accent and stern expression and now has a love of lipstick and vintage clothing. Jesus, what an image! But on a serious note, I really love helping people save money be it 2 quid or 20. Yes, some budget beauty products are rubbish and full of nasty chemicals but there are hundreds that are far superior to their “luxury” counterparts. 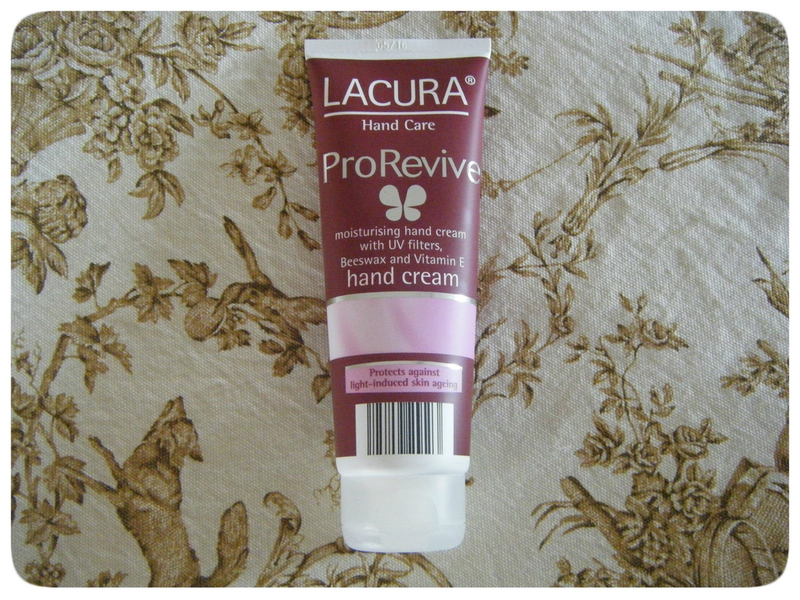 One such products is Aldi’s Lacura ProRevive hand cream. This is the best hand cream I’ve ever used and believe me, I know my hand creams. A lovely combination of dry skin and dermatitis means I constantly have a hand cream nearby. I’ve tried so many and have been disappointed time and time again so I usually revert to E45. There’s three hand creams in the Lacura range, a hand & nail cream, a nourishing cream and an anti-ageing cream. I went for the anti-ageing cream, not because I’m worried about my hands ageing (although at times they've looked like they belong to a 70-year-old!) but because anti-ageing creams are always more moisturising. Lacura ProRevive hand cream is just that; it contains beeswax, glycerine and vitamin E. The cream itself is quite thick but it sinks in really quickly. That’s a major problem I have with E45, it’s so greasy that sometimes I have to wipe my hands in a tissue before I go about my daily business. However, I’ve no such problems with Lacura ProRevive - I can use my phone/laptop straight away. I’ve noticed a huge improvement in the condition of my skin since using this. After just one use my hands looked younger and smoother, the cream seems to act like a silky veil blurring imperfections. Within a couple of days, my hands were softer and the skin around my nails wasn’t so dry and chapped. The cream is lightly fragranced but it’s pleasant and hasn’t aggravated my dermatitis like fragranced products tend to do. The packaging isn’t the prettiest (it’s that great ugly barcode) but the tube itself is a generous 125ml and I like the fact that it has a flip top cap. Oh, have I mentioned that it’s 99c? Yes, this gorgeous rich hand cream is under a euro! A EURO! 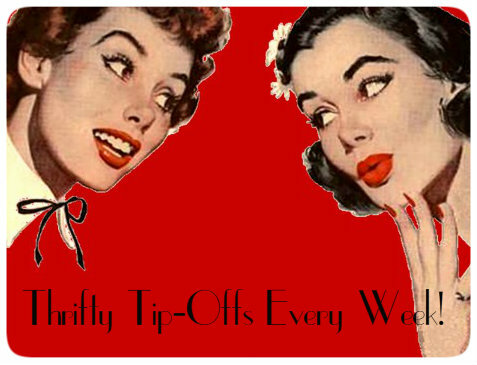 Thrifty Treat Of The Week is a weekly series on The Retro Suitcase. Occasionally, the series will only appear on Facebook so keep an eye on the page for excellent bargains, tips and offers! This sounds great I'm rubbish at looking after my hands! It really is! It's a doddle to use & no greasiness!